For very large RPG releases, they often change drastically after they are released through a combination of updates and content patches. Sometimes these updates are large enough to warrant a full review for the DLC alone, recent examples of this were Dark Souls III and The Witcher 3. 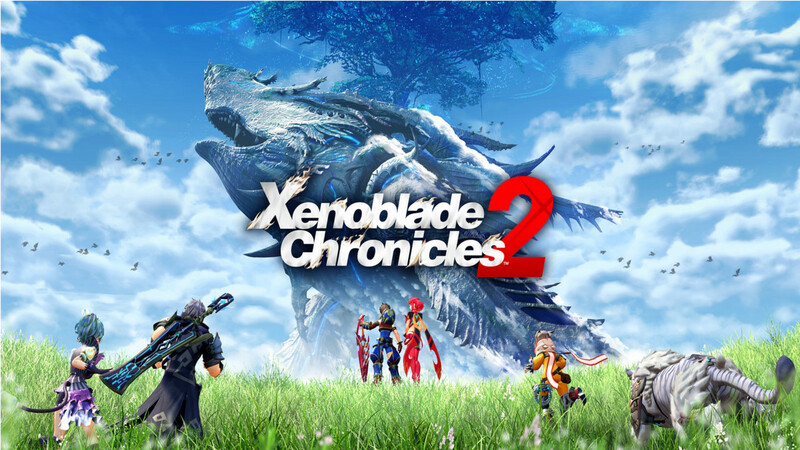 And exactly like those two games, I won’t review every single piece of small DLC released for Xenoblade Chronicles 2, but I am going to review the very large ones. The 1.3 DLC released on March 2nd definitely qualifies as a large enough update to have its own review. More than likely the DLC is not going to be enough to change most people’s purchasing decisions about the game, it was already an amazing JRPG even as just the base game. But DLC reviews can help our readers decide whether it is time to pop that cartridge back in their Switch, particularly when the game is a major time investment. One note for this review is that I’m going to have no problem with spoiling anything in the main story, 90% of the DLC is only for New Game+, so it won’t effect you until you finish the game. So if you haven’t, or are concerned about spoilers, stop reading now. My party was already a powerhouse even before the DLC, Tyrannotitan never stood a chance. The DLC represents two interesting changes to the difficulty of the base game. The first change is that you can now select an Easy difficulty setting that was not there before. I frankly do not understand why anyone would particularly need that difficulty setting, I only ever died once in the whole 530 hours I played before this DLC (and that was because I didn’t know to Chain Attack the last story boss). Even if you don’t know how to Driver Combo, you can still Blade Combo easily, and Chain Attacks are only truly required once until the Post-Game Superbosses. The other drastic change to difficulty is that you can expand your Accessory slots to 3 for every party member. In fact, that is the first Bard reward that you come across, available in the Argentium Trading Guild Inn. The addition of a new Accessory Slot makes even the Superbosses simple, but it also does make a fun new task of trying out hundreds of new combinations that you never could try before. Many accessories simply never got used during a normal run because there were a couple that needed to be equipped on each character for maximum efficiency. That being said, as you can see above, my characters were already insanely powerful even before the DLC. That shot is of my party maxing out their damage to destroy the highest level Superboss in the game using only 1 orb burst. I did this to farm up Tachyon Chips (the best upgrade Chip in the game) for every single Legendary Blade and to farm up Legendary Core Crystals for the new Blades. 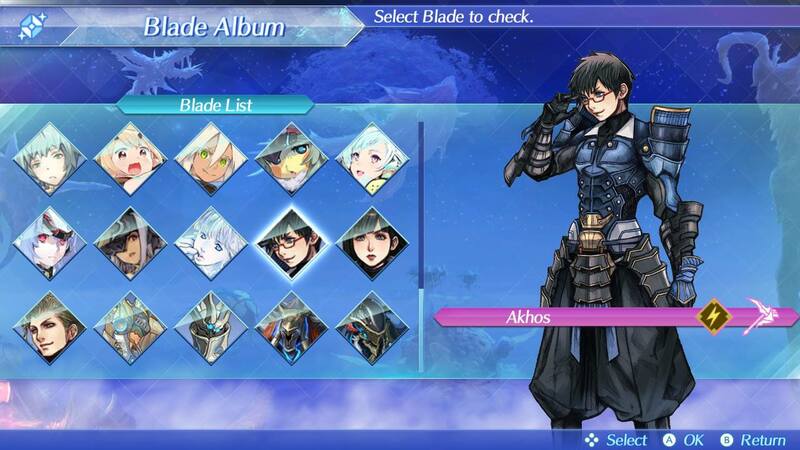 Nearly all the Torna Blades have been added to the game, each with a unique weapon. Make sure you have plenty of Core Crystals when you start your New Game+ run, Rare Core Crystals will work but Legendary Core Crystals are preferred. All members of Torna will become available to you other than the notable exceptions, Jin and Malos. So you can now have the following Blades join up with your party; Akhos, Patroka, Mikhail, Obrona, Perdido, Cressidus, and Sever. Of the 7 new Legendary Blades, all of them except for Mikhail are earned by attuning to Core Crystals. And you can start unlocking them immediately after you can open up your menu when you reach Argentium Trading Guild. Obviously you will need to make sure that you have plenty of room in your Blade storage before you start trying to unlock them, so I removed every single non-Legendary Blade from my inventory prior to starting New Game+. Mikhail cannot join your party until the start of Chapter 9, after he is seen to sacrifice himself to save your party. I mostly approve of this decision, both because it still keeps that sequence more emotionally investing, and also because he has a short sequence of lines about why he’s still alive. 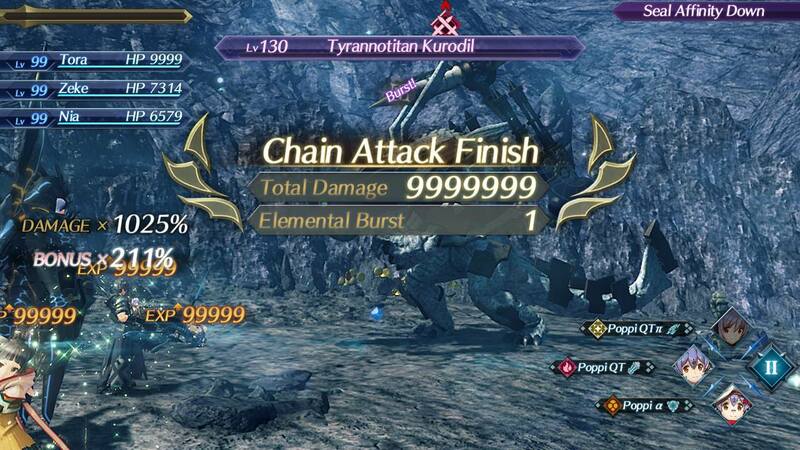 For maximum efficiency on earning the new blades, I would strongly recommend you be at Level 99 and have a 30% Increased Luck Accessory equipped on each Driver before you try to unlock the new Blades. Using that method and only Legendary Core Crystals it only took me about 50 tries to unlock all 6 potential Blades. This was also made much quicker because they also added the ability to skip the Blade creation sequences with the 1.3 Update. New Heart-to-Heart sequences were added for every new Blade. The new Torna Blades each have an entirely new weapon class that is exclusive to each of them, which is both good and bad. The bad of it is that because each one is new, you will have to grind up the Weapon Points necessary to upgrade all their Driver Skills from the beginning. The good is that it makes each of them more interesting to use and gives you quite a few more options in your character load outs. They still mostly conform to the general archetypes before, but they do also add some interesting functionality. An example of this is that the dodge tank Mikhail gives Morag a group heal even while tanking. The other dodge tank joining your party is Sever, the block tank is the giant Cressidus, the healers are Akhos and Obrona, and the new damage dealers are Patroka and her former (General Grievous looking) Blade Perdido. Obviously each of the new Blades also have their own Skill Tree, but a nice addition was that they also each have their own Heart-to-Heart sequences that have been added to the game. 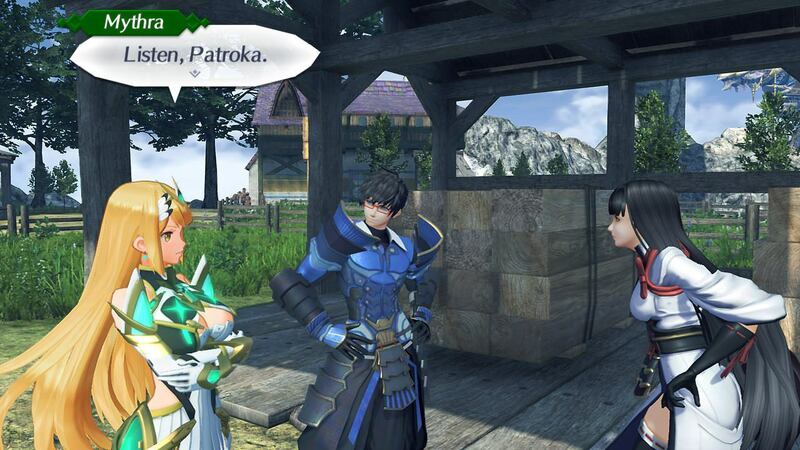 A lot of their personality traits visible from their time in Torna are still there, but they have been smoothed out a bit with the change in management. All around, the addition of these new Blades makes going through the DLC worth it alone, even if I would have loved having Jin join in the party, or even Malos with his Monado style weapon. Hopefully we will get them eventually with some of the DLC still planned. With Shining Eye, Shellhead becomes an indispensable member of your party. Any time you sleep at an Inn, you now have the ability to either Level Up or Level Down your party members, whereas before you could only do a Level Up. There are really two reasons for doing a Level Down in New Game+. The most simple reason to do so is the experience you gain by leveling your characters down is added to your Bonus Experience pool, and can be spent on gaining various items from Bards scattered among the large cities in the world. The Accessory Slot increasing item mentioned earlier is the most powerful, but the other items you can gain are nice quality of life improvements, especially the ability to earn 30,000 Ether Crystals at a time for spending on Poppi upgrades. The other reason to Level Down is because the Skill Points you earn from combat are heavily weighted by your level difference from the enemy. So if you go through NG+ with your characters at level 99, you will only earn 1 Skill Point for even boss fights. 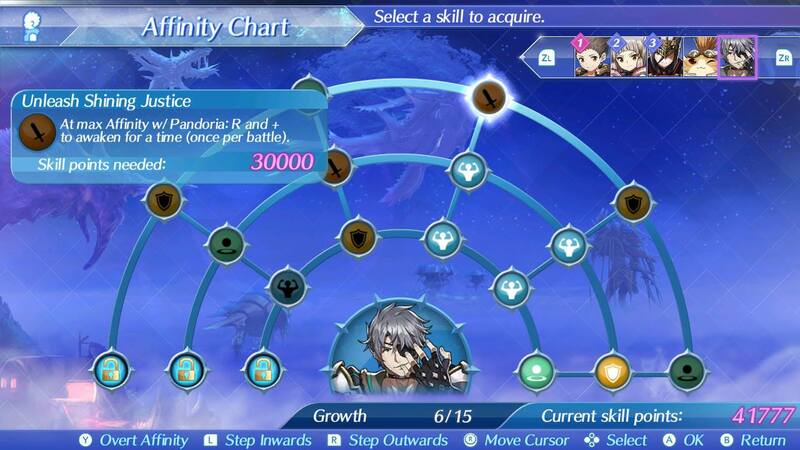 And you are going to need a whole lot of new Skill Points for the new Affinity Chart that was added for each party member. The Hidden Affinity chart can be opened up from the Overt Affinity chart, and represents an entirely new set of skills that make each of your characters much more powerful than before, but at a hefty Skill Point price. Zeke is the one that gains the most from the new chart, his Unleash Shining Justice skill that you see above makes him just as powerful as Rex is with a fully upgraded Mithra. They were obviously concerned that most people only stuck with a party formed from either tank, Nia, and Rex. Now there is much more cause to change up that party composition. My favorite new combination is to make Nia a Rex Blade to make him your emergency healer, and then have a Crit Healing Poppi QTpi as the tank and Zeke as the primary DPS. With that party there is no Boss or Superboss in the game that I can’t take out in under 60 seconds. The endgame of NG+ is to manipulate your levels so that you can easily farm SP. There are a few other simple additions to the game along with the ones listed above. A small quality of life improvement is that you can now send any Blade out on a Merc mission that is not in the first slot of a Driver. In addition to that, you can now remove any Blade easily, as long as they have a replacement Blade available, the only exception to this is obviously Tora. But you no longer have to use Rex to free up Nia or Morag or Zeke of their story Blades (although with Zeke you really do want to have Pandora all the time now). There is also a small, but nice, change to Mithra exclusive to New Game+. The final form of the Aegis now has a Level IV Blade Combo that can be accessed just the same as any other Blade with a Level IV combo. Her IV is a lot flashier than any other Blade’s, and it also spoils something regarding the story, so it remains locked behind NG+, and cannot ever be used on a first playthrough. 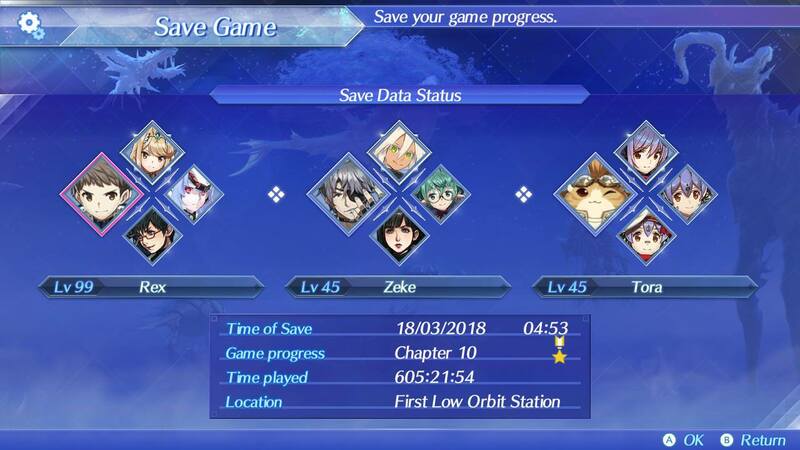 As you can see above, I am now well over 600 hours spent on Xenoblade Chronicles 2. The game would have been worth it with a fraction of that time, and this DLC added around 75 more hours of content once I finished filling out the Affinity Charts of all 7 new Blades and reached the end of the NG+ story. There is no price attached to this DLC, it’s a free update, so there is no question that it’s worth it monetarily. As far as whether it’s enough to get you to pick up the game again, I would highly recommend you do so. But, as I said earlier, 90% of this update is for once you finish the game for the first time. This DLC is very much a thank you to us Xenoblade Chronicles 2 addicts, who can’t get enough of the game. The DLC is Free, but the original game was self-purchased.